Heisler Training Systems is a professional and Systematic training facility. My daughter (Raine) and I train with Drew and have found his approach to training to be inventive and focused on the individual. Raine started at Heisler Training Systems 2 summers in prep for the field hockey season. Drew continually changes his training to keep her interested and motivated. She has gained speed and increased her strength preparing her to compete in the sports she participates in. 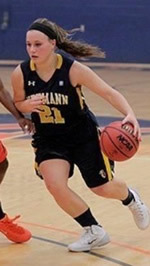 After suffering an ACL tear 17 games into my sophomore season apart of the Neumann University Women’s Basketball team, I didn’t know which way to look. Every direction was an obstacle. After surgery, and a long spring semester in the dorms I came home to Cape May Court House, NJ to work and rehab. While trying out self-advocacy and rehabbing on my own, I quickly realized I needed help. That’s when I came across Heisler Training Systems, located in Clermont (ten minutes from my house), it was a perfect fit. 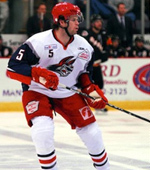 Drew Heisler having also been through an ACL tear while playing collegiate hockey. Not only was he very knowledgeable about specific strengthening regiments to help my injury, but overall athletic preparation. Each week was a new goal. We started out with step ups, which I could barely do. But over time it got easier. Drew understood when I was frustrated, and helped motivate me to keep persevering. By the end of the summer I was doing box jumps. Now, having just started pre-season with my basketball team I can honestly say I wouldn’t be here, prepared to play without the hard work, commitment, and determination from Heisler Training! Bridge the gap, my friends. Training with Drew has been one of the best experiences I have ever endeavored. Drew is positive and enthusiastic and he pushes me to my fullest potential. His training has made me a physically and mentally stonger person. Each summer that I have worked with Drew, I have improved a tremendous amount. Without Drew, I wouldn’t have had nearly the amount of success that I do. I have been working with Drew for three years now. His knowledge of the human body and training have helped me become a better athlete. His ability to push me out of my comfort zone and to work not only harder, but smarter, have helped get to where I am at today. Thanks to Drew not only is my body ready to handle to rigors of a grueling 72 game schedule but I'm also mentally tougher. I am truly appreciative and grateful for his work with me and look forward to training with him again every summer. My journey starts in September 2011.... After a recent trip to Alaska and having to be weighed for some air excursions, I saw my weight for the first time in years. I took into action and started with walking. After 2 years I only lost 60 pounds and after losing a job in early 2013 I gained 10 back by the summer. Then Jen got her certification! I texted her as soon as she announced it and the first week in November 2013 I started training under Jen at Heisler Training Systems. In the 9 months since I have started training with Jen, my life has changed so drastically. I have strength, passion for fitness, courage and discipline, but most importantly I have an awesome trainer who I'm lucky to call my friend. When I started this journey I never knew how far I'd make it... I had no clue if I would be able to do it at all. I was afraid of leaving my comfort zone and working hard at anything. 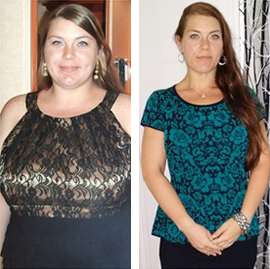 With Jen's help, I now know how powerful I can be, she understands because she has gone through her own weight loss journey. Jen has changed my life and I'm so grateful for her and everything she has taught me. She has inspired me to be dedicated and strong willed... qualities I never had before. I have lost 80 pounds with Jen and I have amazing results, toning muscles that I never dreamt possible. She has taught me strength and how to cope with such a change, not only in the gym, but every aspect of my life. Thanks to Jen Bond I am not afraid of chasing my dreams!